A good monitor not only makes your pictures bigger and more vivid, but also can be beneficial to your the health of your eyes. Whether an HP, Acer, Samsung, or a Viewsonic, your monitor must be suitable. 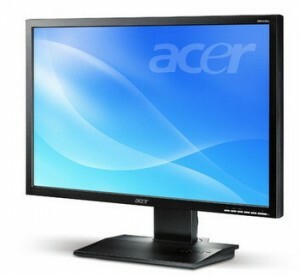 We can get any sized monitor for your particular needs. If you are a graphic designer or a photographer, your choice in monitor can greatly affect the outcome of your work. We can help you find high contrast ratio monitors and color calibration tools that will help you produce beautiful print results. Viewsonic DLP projectors provide excellent picture and brightness. There are models for entertainment use and for home & office use. Home theater projectors include HD 1080p and HDMI 1.3 capabilities and some are 3D ready. Home and office projectors are lightweight for portability and comes with DLP BrilliantColor technology. With excellent warranty and service coverage our Viewsonic projectors are second to none.